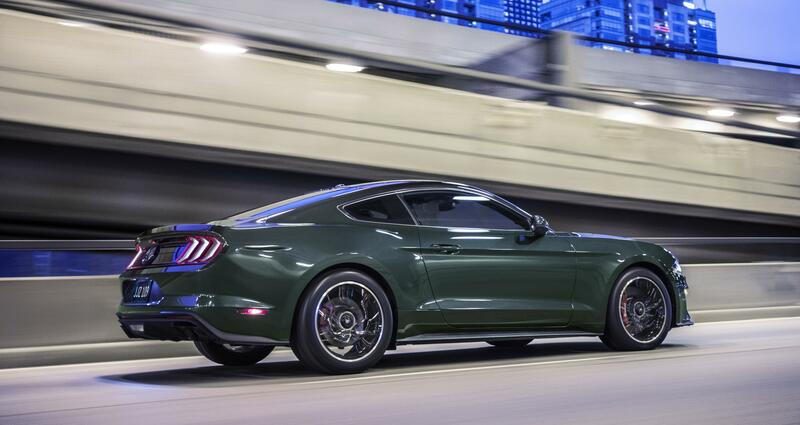 Starting right now, Ford enthusiasts can line up at Southern California Ford Dealers to order the 2019 Ford Mustang Bullitt. The limited-edition pony car will deliver a new level of performance and attitude. Fans of the original and the many versions made since can rest assured this new car will thrill in every way possible. It was 50 years ago, in 1968 that the Warner Bros. feature film “Bullitt” hit theaters across the nation. It put Steve McQueen, who had a reputation for driving amazing vehicles, behind the wheel of a specially-modified Highland Green 1968 Ford Mustang GT fastback. The car amazed audiences just as much as the action sequences where McQueen thrashed the Ford Mustang on the streets of San Francisco. Ford responded to overwhelming demand by making cars fashioned after the movie vehicle available to the public. The first version was released in 2001, over three decades since the movie was released, demonstrating its lasting influence. The second version of the Ford Mustang Bullitt came out in 2008, again captivating the attention of enthusiasts. The 2019 model will be the third commercial version of the Ford Mustang Bullitt. It shares some elements with the original movie car, while still putting a modern twist into everything. When it comes to the Ford Mustang price for this limited-edition model, you can expect something surprisingly reasonable. The 2019 Ford Mustang Bullitt will go on sale for $46,595, plus a $900 destination and delivery charge. 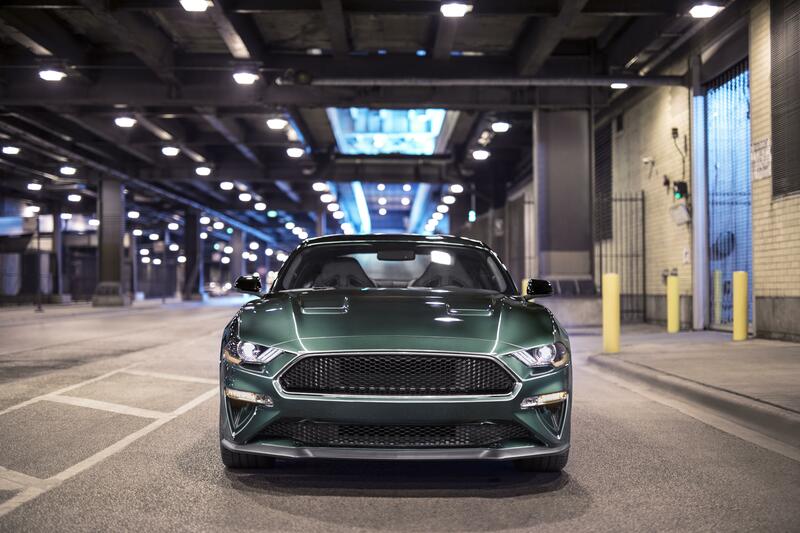 Even from a first glance, enthusiasts will be able to make an instant connection between the 2019 Ford Mustang Bullitt and the original. While you can get it in the classic Dark Highland Green, Ford is also offering Shadow Black for a stealthier and aggressive appearance. The black grille, subtle chrome exterior accents, plus 19-inch aluminum torque-thrust wheels adds to the stylized flavor of the vehicle. Around back, a black NitroPlate quad-tip exhaust is standard, giving the car a visual punctuation and audible snarl. Inside, a cue ball shifter adds a classic element to the car. Leather upholstery comes standard, with green accent stitching for the center console, seats, dashboard, and door panels. Ford uses few badges on the exterior and in the cabin, giving the vehicle a clean and timeless appearance. On the back of the car, right in the middle, is a fake circular gas cap with the Bullitt logo on it. Of course, the 2019 Ford Mustang Bullitt is no pushover. To make it even more powerful, the car borrows the Ford Mustang Shelby GT350 intake manifold, combining with an 87-millimeter throttle body. To maximize those upgrades, Ford also outfitted the car with specialized powertrain control module calibrations. The result is a mighty 480-horsepower and 420 lb.-ft. of torque. The car can reach a maximum 163 mph on a track, which is 8 mph faster than the current Ford Mustang GT. With power like this, they won’t last! Contact your Southern California Ford Dealers for more information about ordering your Ford Mustang.